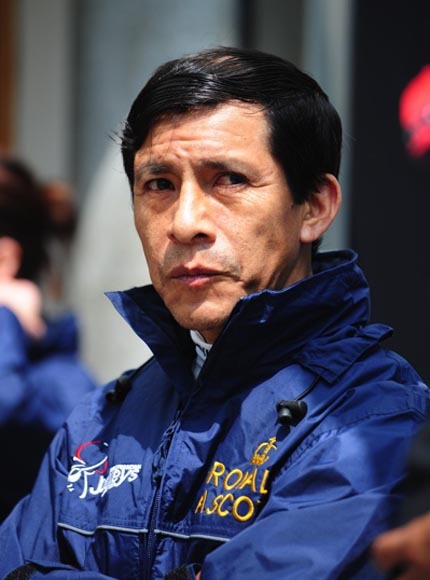 Peruvian-born US Hall of Fame jockey Edgar Prado won the 7000th race of his distinguished career on May 15, becoming just the seventh rider to reach that mark. The 50-year-old was “thankful” and “very humbled” to achieve the feat aboard Anthony Merlino’s Thefundsarelow in the sixth race at Parx racecouse in Pennsylvania. Prado has been a regular on the Maryland circuit. He first became a national figure in 1997 when he won an astonishing 546 races in the year. He is one of only four riders to win over 500 races in a year. “It’s a big accomplishment in my career,” Prado said of his achievement.